Our evangelistic resources ​will help equip you and enable to reach others with the gospel. In this practical, easy to read guide, Steve Mullins not only explains the importance of sharing Jesus with others, but also shows how we can be empowered for the task and overcome the common obstacles that we face. 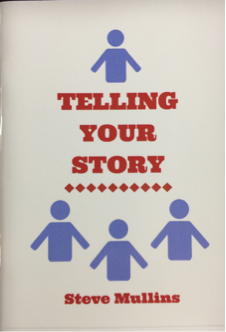 "...a foundational reminder of the life transforming message of the gospel..."
'Telling your Story' is a 14 page booklet with 5 short chapters that will help you think through and put together your personal testimony. Filled with lots of practical tips it is a great resource to help you share how Jesus changed your life! 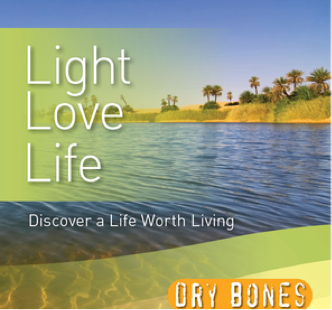 'Light, Love, Life' is an full colour 14 page booklet that clearly explains the gospel, and is an ideal booklet to give to family, freinds, work colleagues or for use during Church outreaches. Priced at just £1.00 per copy (plus p&p - discounts available on large orders) they are an ideal evangelistic resource. Looking for something new to give away to the folks who come to your carol service this year? or maybe to give away at the toddler group Christmas party, or other Christmas events? Maybe you visit folks in the local area and do some Carol singing - why not take them a mince pie and a copy of 'Happy Christmas?' too? 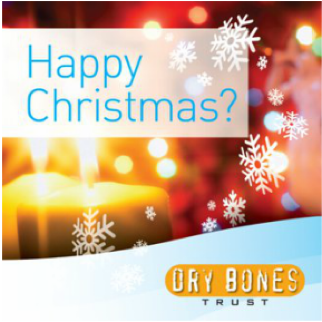 Happy Christmas? priced at just £1.00 per copy, is a full colour, 14 page evangelistic booklet written by Steve Mullins that gives a clear Christmas message that helps people think about the reason for the season - it's ideal to give away at Christmas! I received my booklets yesterday, they are great! I'd recommend these folks....they are a brilliant evangelistic tool....I shall be ordering more! Agatha, Christmas Cheer project manager, Jesus house.